In a 5-8 paragraph essay please respond to the following. To prepare for the essay, you MUST respond to ALL four Learning Objectives (linked below). Discuss the Age of Expansion and Conquest and its various stages of development. 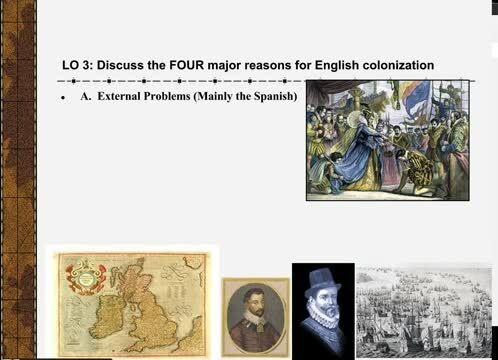 In your discussion give examples of each phase of its development and show what the motivating forces were that finally induced England into colonization. Be able to define the Age of Expansion and explain HOW, WHY, AND WHEN it developed. 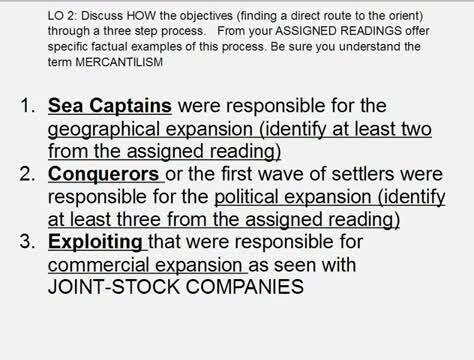 Discuss HOW the objectives (finding a direct route to the orient) through a three step process occurred.